The first baby diplodocus skull ever found is helping scientists uncover how tiny babies that hatched from melon-sized eggs grew into the some of the largest animals that ever walked the Earth. "You consider that you start your life coming out an egg the size of a cantaloupe. And when you die, you're a hundred feet long. That's quite a number of growth spurts you have to go through," said Cary Woodruff, lead author of a new study on the rare skull published Thursday in the journal Scientific Reports. Woodruff, who is currently a PhD student at the University of Toronto and the Royal Ontario Museum, nicknamed the baby dinosaur "Andrew" after the 19th century Scottish American steel baron Andrew Carnegie, who was a great patron of paleontology and for whom one species of diplodocus is named (Diplodocus carnegii). Diplodocuses belonged to a group of huge, long-necked, plant-eating dinosaurs that walked on four legs and are known as sauropods. Andrew was unearthed in 2010 at a site in Montana called the Mother's Day Quarry by Glenn Storrs of the Cincinnati Museum Centre. "Anyone who works on sauropods gets super excited even when there's a bit of skull, because they're so rare," said Woodruff, who is also director of paleontology at the seasonal Great Plains Dinosaur Museum in Malta, Mont. He was a Montana State University graduate student at the time, studying the life histories of long-necked, plant eating dinosaurs, so Storrs alerted him to the find. Researchers can't tell whether Andrew was male or female, or which diplodocus species it belonged to. 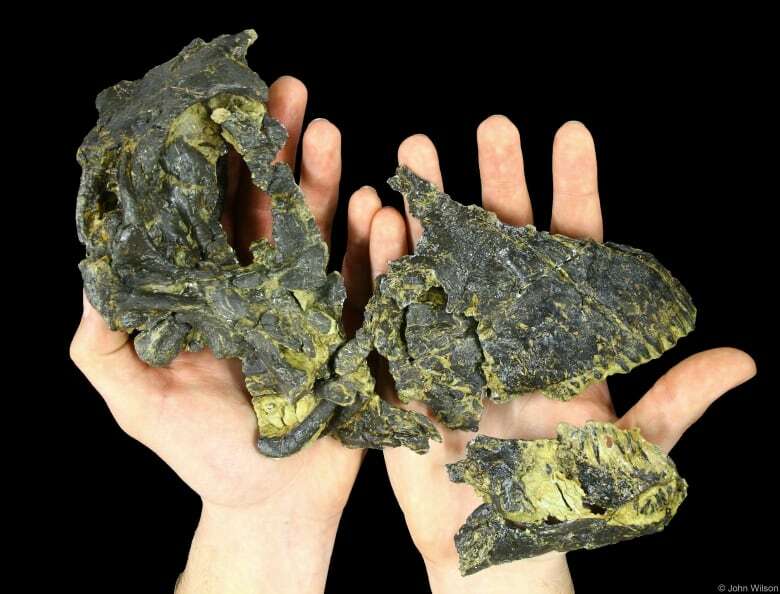 Its skull is just 24 centimetres long — about the size of a pineapple fruit without the leaves. Researchers estimate Andrew was just two to four years old when it died 150 million years ago, during the Late Jurassic. There were about 15 other young diplodocuses in the herd, all six years old or less. It's not clear how they died. Woodruff notes that diplodocuses don't seem to have cared for their young. Instead, the young animals would have moved in herds of animals similar in age, probably hiding in the forest along the coast of the nearby inland sea to avoid predators like Allosaurus. Despite its young age, Andrew was probably already six metres long — about the length of a cube van. By studying the skull, Woodruff thinks he has some new clues about how diplodocuses grew so fast. While adult diplodocuses have only 10 or 11 peg-like teeth at the front of a wide muzzle designed for grazing ferns in savannah-like landscapes, Andrew had a much narrower muzzle with 13 teeth that went all the way to the back of its jaws. The ones at the back were spoon-shaped teeth designed to handle tougher material than just ferns. Woodruff likened Andrews dental toolset to a "Swiss army knife" compared to the adults' more specialized teeth. "Andrew has to grow up really fast," he said, noting that diplodocuses reached full size in about 25 years. "To grow up really fast, it's got to eat a lot of food. With these different teeth, Andrew could basically pick and choose to eat any plant material around him." 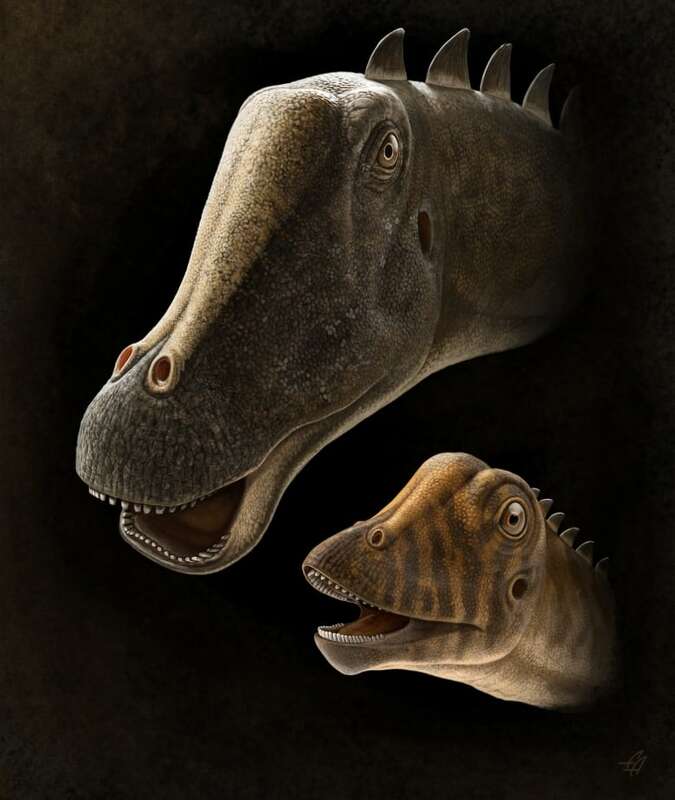 He added that the narrower muzzle than that seen in adult animals also indicated that baby diplodocuses may have been pickier eaters than adults — but had more varied diets. Given the differences between the adult and baby skulls, identifying the skull as a diplodocus was not easy, the researchers note. 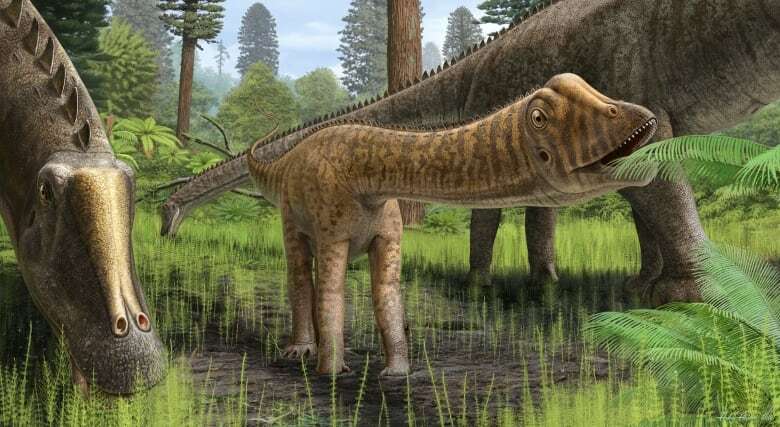 But based on the sizes and shapes of the bones and features partway between the baby and adult features from diplodocus skulls that Woodruff describes as "teenagers," the researchers think Andrew was likely a diplodocus. While the first diplodocus was found in the late 1800s and more than a hundred specimens have been found since, they include only eight skulls, all adults or adolescents. So the new discovery helps fill some missing pieces of the puzzle, Woodruff said. Besides Woodruff and Storrs, the study involved other researchers in the U.S., the U.K. and Germany. It was funded by J.Horner and the Museum of the Rockies, with additional support from the Cincinnati Museum Center and the U.S. Bureau of Land Management.